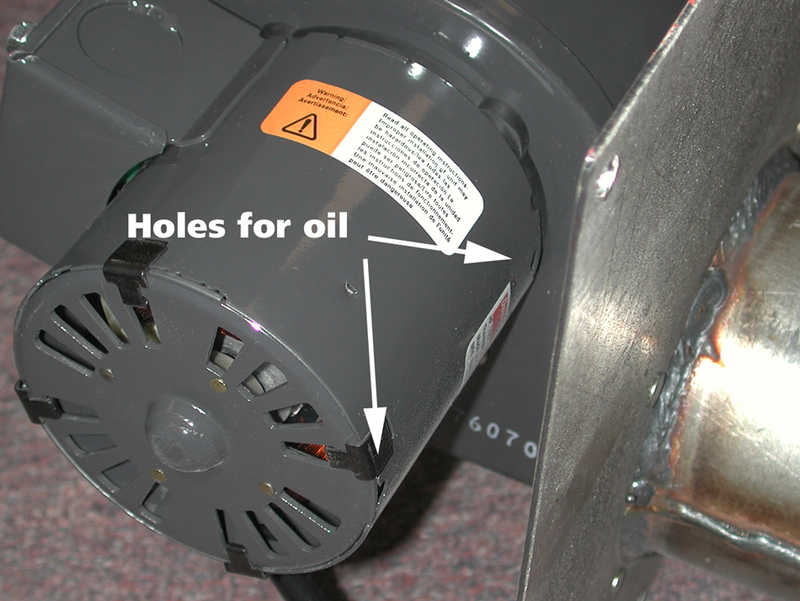 Before you purchase oil, check to be sure that you do not have a motor with sealed bearings. A motor with sealed bearings is permanently lubricated and does not require oil. If you have this type of motor there will not be any oil ports on the motor in which to add oil. The only motor that we have used that requires oil has a label on it that says Dayton Model 4C446. If you have this model, any lubricating oil will work including 3 in 1 oil found in every hardware store.